When Padma Ratna Tuladhar, 78, passed away amidst preparations for the celebration of Nepal Sambat 1139, a powerful symbol of struggle for dignity of historically humiliated communities of Nepal suddenly disappeared from the scene. There is no pair of feet large enough on the scene to fill the shoes of a tireless fighter for cultural rights and political dignity. He died disillusioned and defeated but without being dispirited. Superimposition of monoethnic template of nationality upon a heterogeneous country creates multiple marginalities. A neologism of sorts, the idea of marginality gained traction in the 1980s when it came to be understood as “an involuntary position and condition of an individual or group at the margins of social, political, economic, ecological and biophysical systems, preventing them from access to resources, assets, services, restraining freedom of choice and preventing the development of capabilities” among other things. Marginality creates a sense of helplessness in its victims. Humiliation becomes an everyday experience as one is exposed to ridicule, scorn, contempt and intimidation just for being what he or she is rather than what the person may have done or not done. Little wonder, Padma held ocean of tears in his heart and his eyes welled involuntarily at the slightest provocation. Unlike various other social and cultural groups in the country that lost their dignity over prolonged period of time, it is possible to put a date upon the humiliation of Newas. The ‘disidentification’—another neologism of 1980s that implies the association and disassociation of a community with supposedly inherent qualities, which then comes to be believed as self-evident—of Newas began the day the Kumari put the Tika of legitimation upon the forehead of Gorkhali Conqueror during Indrajatra festivities of 1768 and made the victor the rightful ruler of the realm. Human beings possess infinite capabilities of inventing coping mechanisms. In early-Shah years, the defense system of Newas against feelings of inferiority and embarrassment consisted of complete or partial withdrawal from social and political life. Many families fanned out to the hills and valleys of mid-mountains to eke out a living. Some began to pay more attention to the increasingly dwindling Indo-Tibetan trade. Art, music, literature and craft was a safe fallback option as the Gorkhalis weren’t too keen on such pursuits. Local businesses remained in Newa hands as long as they agreed to pay hefty protection money to the members of the new nobility. By the time of Ranas, Newas had lost all hopes of redemption. They had begun to look for opportunities of assimilation. It helped that the insecurity of Rana usurpers forced them to rely more upon the locals of Kathmandu Valley. After the near decimation of all competing nobles of the Gorkhali Court in Kot and Bhandarkhal Massacres of 1846, the Ranarchy subsumed a section of Newa elite into the structure of governance through the tactic of naming (derisively called ‘Nyar’), shaming (a non-warlike group) and creating multiple divisions within the community. King Mahendra was shrewd enough to realize early on that simply by the virtue of being preponderant in the Kathmandu Valley, the upwardly mobile Newas were capable of challenging the Gorkhali hegemony. He sought to preempt all such possibilities through a combination of short and long term strategies. In order to undermine Newa businesses, handpicked Marwari families were promoted. Through the patronage of parastatals, entrepreneurship among Gorkhalis was encouraged. In a slow but sure manner, Newas were sidelined from government appointments. Eventually, even entry into the academia became restrictive. In politics, showcase personalities such as Jogmehar Shrestha or Buddhi Raj Bajracharya were useful. Upon being appointed the royal prime minister, Marich Man Singh suddenly found that donning the ‘Shrestha’ surname had its advantages. This was the milieu in which Padma found himself in the 1970s. In a narrow lane off the Embassy Street in Lainchaur, the body of Padma Ratna lay bedecked in flowers. People streamed by—some anguished, a few bewildered and many merely for the sake of formality—to pay their last respect to a man who showed that it was possible to assert the dignity of a community by just being true to oneself. Among the mourners, the presence of Prof Abhi Subedi stood out not only because of his physical height but also due to his intellectual stature. Prof Subedi reminisced that as his classmate in the Tribhuvan University, Padma seldom took his attendance seriously but insisted that he be given lecture notes. Being a poet and a dramatist, Prof Subedi is adept at making silences scream: What he perhaps left unsaid was that the celebrated shyness of Padma Ratna was borne out of awkwardness that Newa students faced due to their language, diction, lifestyle and food habits. Though numerically still in majority—now even that distinction has been lost as they have lost dominance in their own ancestral homeland—Newas were systematically made to feel inferior by the Gorkhali modernizers of the post-1960 order. Withdrawal into one’s safe cocoon and excellence in performance through self-preparation is a time-tested method of coping with humiliation. Political economy creates culture, which is then carried forward through the language of the community. Perhaps there is a reason Padma strayed into politics through the language movement. By the late 1970s, Nepali had entrenched itself as the ‘only’ national language through its monopoly over education, media, administration, religion and social customs. Perhaps the autocratic Panchayat Regime thought that it was now safe enough to allow local languages some room of play to deflect attention away from the oppressive nature of the political economy. This was the time when Maithili Sahitya Parishad was born to counter the allure of Hindi. 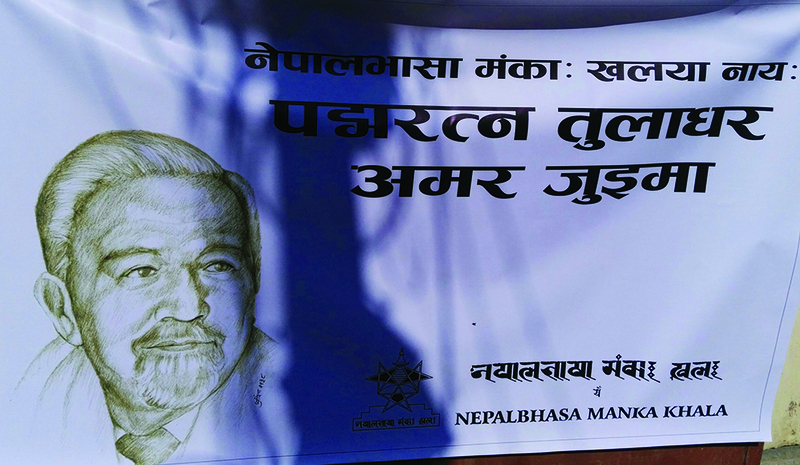 Nepal Bhasha would have been helpful in containing the simmering rage of Newas. It’s not exactly known how the idea spread, but by the late 1970s, many Newa families that had learnt to speak Nepali even within the confines of their homes to blend into the Gorkhali elite began to rediscover the charm of their own language. Padma emerged as the icon of reassertion of linguistic identity. It was painful to lose a campaigner of politics of dignity surrender himself to the politics of respectability and compete against Mangla Devi Singh in the post-1990 order. The hero of resistance had fallen low by climbing high upon the mountain of mainstream politics. He had travelled too far by the time he realized that he had rushed headlong into the ethno-national cul-de-sac of Bahunism. Padma regained his composure rather quick and became one of the earliest advocates of republicanism. He was an effective interlocutor between the Maoists and the mainstreamers till the late 1990s. Perhaps that was when he climbed another peak and fell further low in the public esteem. 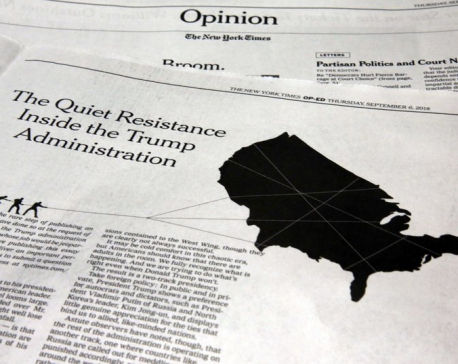 His association with a multi-donor enterprise with almost limitless resource at its disposal ended up inadvertently delegitimizing the politics of dignity. Post-2008, the NTTP enterprise that Padma was associated with became complicit in preparing the ground for regression. It led to the ‘soft coup’ through the courts in 2013 and then the full restoration of PEON primacy in politics in the wake of 16-Point Conspiracy of 2015. Having won many battles for the politics of dignity, Padma lost the war when it came to enshrining its gains in the supreme law of the land. Padma didn’t lose hope even in complete defeat. An enterprising cohort of youngsters that he nurtured appears determined to take his struggle forward. He initiated the process of rapprochement between Madhesis and Janjati groups. A concerted struggle against monoethnic demagoguery may be a long way off, but the inescapability of struggle for political dignity and social justice shall remain the enduring legacy of Padma Ratna Tuladhar. 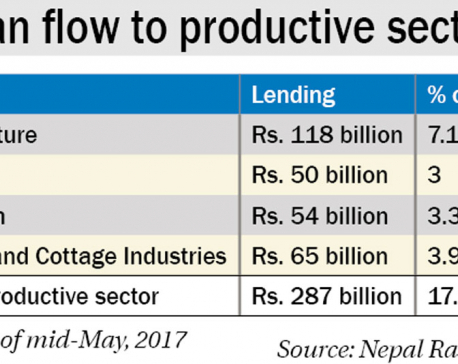 KATHMANDU, July 29: Commercial banks are struggling to meet the directed-sector lending requirement as set by Nepal Rastra Bank (NRB).